I love getting mail (minus bills obviously) and my postie delivered me some very exciting mail in the form of Miss Millar’s Marvellous Marshmallows. Marshmallows are one of my favourite treats, and an absolute essential at any barbecue! 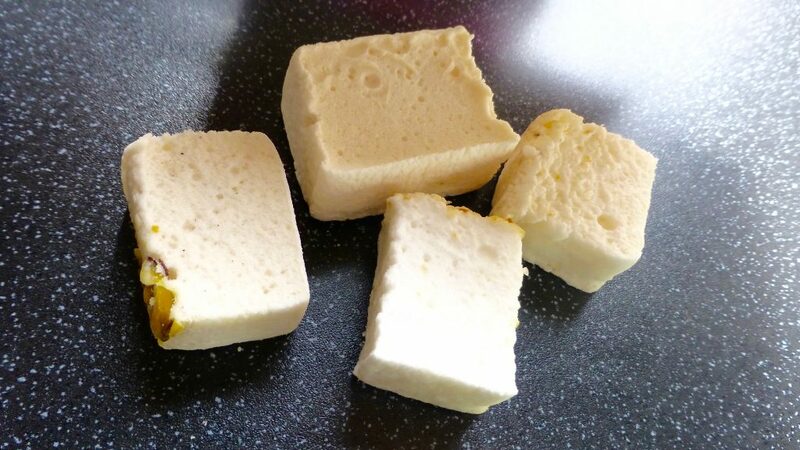 I first met Miss Millar at the Bloggers Food Festival last year and recently she asked if I wanted to try some of her new and improved marshmallows …. I think we all know what my answer was. With a name like Miss Millar’s Marvellous Marshmallows I was a little giddy when these treats arrived. Pushing the boundaries with flavours these marshmallows are handcrafted by her team from start to finish. Unless stated otherwise most are suitable for coeliacs and are dairy free. Sadly though these aren’t veggie friendly due to the gelatine, however they are beavering away at a veggie friendly recipe. We have hit the tropics with these. I’m not a big fan of coconut so these were not really my cup of tea. The little sprinkling of coconut gave a crunchy texture and the lime was subtle but enough to cut through some of that sweetness from the marshmallow. For those Bounty and desiccant coconut lovers out there these are going to be right up your alley. Vanilla is plain and simple and often the best flavour of marshmallows. These two were monsters. They didn’t smell of vanilla but they certainly tasted of natural vanilla from a vanilla pod. Despite the size they were super squishy and are crying to be thrown over a BBQ and sandwiched between two choccie biccies! Now this is the badger I was sure I wasn’t going to like but pleasantly surprised I was. The balance of flavours was spot on and the rose was not at all overpowering. Again the nutty topping gives a nice texture breaking up the thick mallow. Akin to Turkish Delight but so much nicer in marshmallow form. These are delicious. Simple. Tangy slightly sour lemon with little sweet meringue pieces topping the fluffy soft mallows, these tasted exactly like a lemon meringue pie. These are certainly my favourite of the flavoured varieties and I am very happy I have a big box of these. These are everything you wish from a marshmallow and so much more. 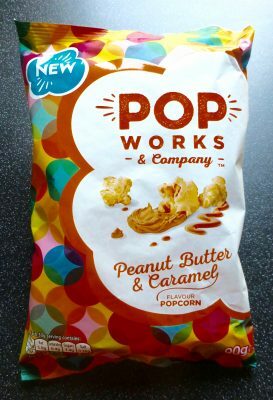 The flavours are imaginative and executed well. There is no comparison to homemade artisan marshmallows to the packet bought pink and whites. These are light, squidgy and I love that they are varying sizes. If these tickle your fancy well I challenge you to resist the other flavours Miss Millar’s has on offer – After 8.30 Mint, Burnt Caramel, Mango Meringue and Raspberry Eton Mess to name a few. 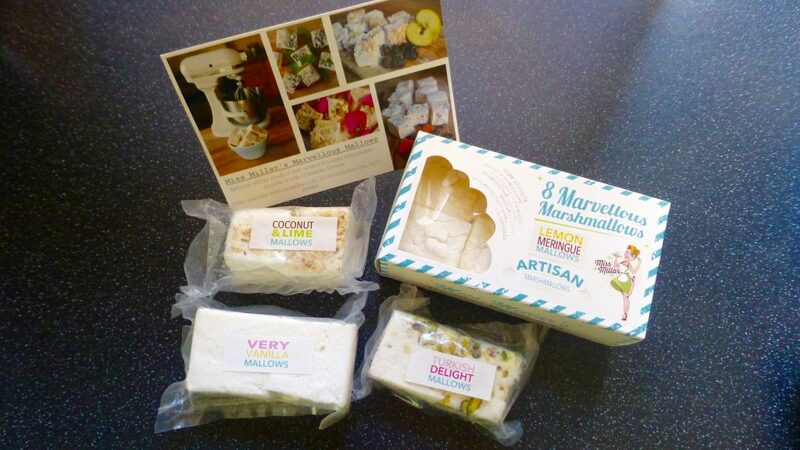 If you fancy some marvellous mallows in the cutest of packaging then head over to their website here. 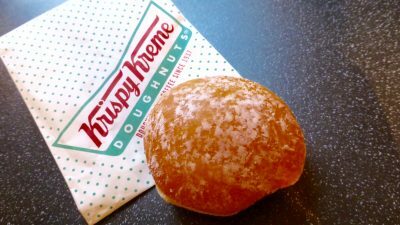 Prices start at £4.50 for a box of 8. 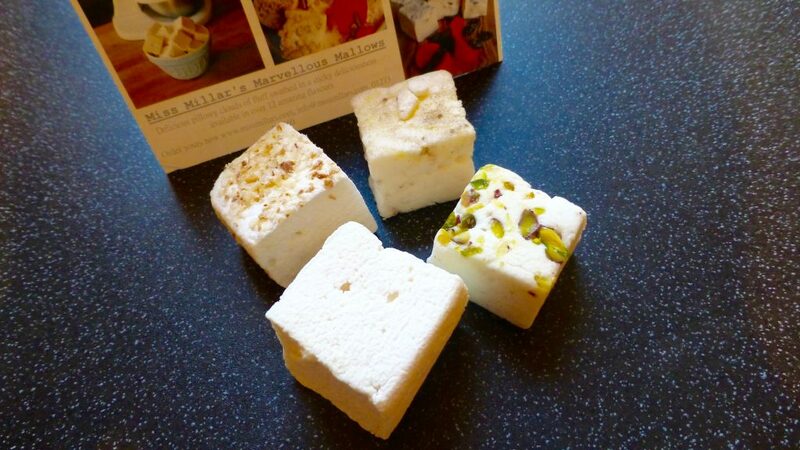 * A huge thank you to Miss Millar’s for sending me these Marvellous Mallows to try.